Environmental Law - FitzGerald Morris Baker Firth, P.C. Environmental matters require a deep understanding of various aspects of local, State and Federal environmental laws and regulations. Our Real Estate & Land Use and Municipal & Public Entity groups use their expertise and experience to guide our clients through the maze of Environmental Laws. From SEQRA compliance to SPDES permits, our attorneys offer their vast experience to assist our clients and accomplish their goals. 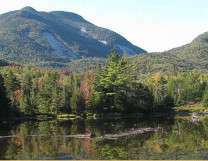 We have successfully guided clients through applications with the NYS DEC, Adirondack Park Agency, Lake George Park Commission, and numerous local agencies and boards. In addition, we have offered comments on applications on behalf of interested parties or groups on pending applications such as land use development applications, marina and dock applications, and both large- and small-scale commercial development. With enforcement actions, our Real Estate & Land Use attorneys partner with our Litigation attorneys to successfully resolve environmental compliance concerns, or to enforce citizens’ rights under State and Federal environmental laws and regulations.